Chargebacks are a a part of doing business, but do you know the steps to take when your business rebuts the chargeback? Follow this guide to help you make the most effective case and save your business from loss of profits. Check it out now! Credit cards are a convenient method of payment for consumers, so much so that many people no longer carry cash for everyday purchases. Businesses have been supportive of providing this convenient payment method for their goods and services. However, the system is not perfect, and consumers will report issues to their banks when transaction errors occur. These reported errors can lead to chargebacks. 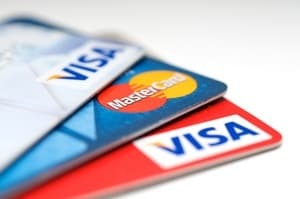 Chargebacks are charges disputed by the individual consumer or bank for various reasons. Businesses can also dispute these chargebacks and can initiate a chargeback rebuttal. This article will cover chargebacks, the reasons why chargebacks occur, as well as the chargeback rebuttal process so businesses can be better informed and be able to protect themselves from future chargebacks. The consumer/credit cardholder contacts their bank to file to dispute the transaction. The bank determines whether the complaint is valid. If there appears to be an error, the bank will credit the cardholder and initiate the chargeback with the merchant processor (the credit card company). Using information provided by the consumer, the bank will then determine the reason for the chargeback. The merchant processor also reviews the case, and in most cases, they will request additional information from the business. If it is deemed an incorrect transaction, they pull funds from the business’s account to cover the transaction plus a processing fee. The merchant processor will assign a reason code for the chargeback; this information is imperative for a business to be able to address and resolve the issue or contest the chargeback. This is one of the most common reasons for a chargeback. The various situations for fraud include stolen identity, the consumer claims they did not make the purchase, or a chip credit card transaction was not completed at an appropriate chip terminal. In this case, the transaction was completed incorrectly. Authorization was not requested by the business or the transaction was completed despite the card being declined. The business should determine if authorization was given and be able to provide documentation to dispute the chargeback if needed. Processing errors refer to anything completed incorrectly during the transaction. Examples include incorrect monetary amount charged, incorrect currency and duplicate processing (the consumer was charged twice). For these items, a business should double check the receipt(s) of payment and determine if errors indeed occurred and if a chargeback rebuttal should be instigated. This refers to when services and goods are not delivered appropriately. Some of these reasons include merchandise/services not received, counterfeit merchandise and recurring payments which had been cancelled. For a business, the most compelling evidence that can be provided to dispute these claims would be shipping confirmations (including shipping company verification), patent/other merchandise validation and contracts that had been signed by the consumer. If a business determines that the chargeback is not valid, they can initiate the chargeback rebuttal. Most merchant processors give businesses a limited amount of time to contest the chargeback (as little as 30 days), so quick action is key. The business should review the reason code for the chargeback to understand the reason for the customer’s complaint and determine if a chargeback rebuttal is necessary. If a chargeback rebuttal is needed, a business should act quickly. It is important to understand the time limits on chargeback rebuttals so that documentation is submitted on time. A signed contract that includes terms and conditions. 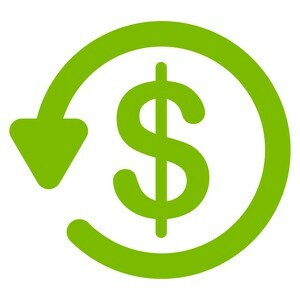 All attachments and documentation should adequately dispute the chargeback and include dates, times and locations for all transactions and communication. A business may decide to directly contact the customer and settle the chargeback independent of the credit card company, especially if there was an error. If you issue a refund, use the card used in the original transaction. In addition, the customer will need to contact their bank to inform them of the resolution so the chargeback is cancelled. If you resolve the chargeback with the customer, the customer may not always follow up and contact their bank to inform them of the resolution, so it is best to draft a rebuttal letter (see next step) and have documentation of the resolution. For example, an email sent to the customer with a response to confirm that the issue was resolved. The evidence/documentation that you are submitting, and how it disputes the chargeback. Below is a sample chargeback rebuttal letter. I am writing this chargeback rebuttal letter to dispute a chargeback for $[dollar amount]. The chargeback reason code is [reason code]. [cardholder name] completed the transaction on [date]. The Cardholder made the purchase utilizing our online system and manually entered in their credit card information on [date] in our [city/state] location (Attachment A). Attachment B is an email confirmation of the purchase that was automatically sent to the cardholder and was received on [date]. They also received an email to confirm the shipment of the product on [date] and they also responded to thank us for the update on [date] (Attachment C). Please do not hesitate to contact me if you require any additional information. I look forward to hearing from you soon. Once the letter and evidence are submitted to the issuing bank, it will either be accepted or rejected. If accepted, the bank will charge the customer again, and the matter will be closed. If, however, the bank does not believe the evidence supports the claim, the business will be charged the amount of the purchase, as well as a fee for the chargeback. The fees are based on the purchase price and can be found within the terms and conditions under the merchant processor. 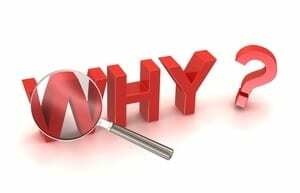 If a business feels strongly that the evidence was sufficient but the bank rejected the rebuttal, they can request a third-party firm to review the evidence. This involves filing and other fees, which can be costly for a business to pursue. Litigation may be the final option should the business wish to sue the customer. Again, this can be very costly for both parties when hiring legal assistance, thus it is typically only pursued in cases that involve large transactions. Have a legal team review your Terms & Conditions as well as your refund or cancellation policy to ensure they are correctly stated in your customer contracts for in-person and online purchases. Have these Terms and Conditions physically printed on receipts/on email confirmations. Ensure all credit card terminals are working properly, and that staff is trained to request consumers to use the chip card reader for all chip credit cards. Verify that the credit card used has the correct cardholder name or an authorized user. Train your employees to see an ID for in person purchases and ensure the name on the card and signature match those on the ID. 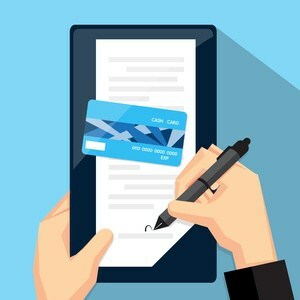 In addition, a business should request CV codes that are located on the back of the card near the signature line for all card-not-present transactions. If a consumer called a company to make a purchase, it is a best practice to record phone calls so that there is solid evidence that the consumer purchased the product. Any time the rates or any terms and conditions change execute a new contract and have it signed by the cardholder. Keep records of all purchases for at least one year. Chargebacks are a necessity for consumers, as credit cards are more and more common methods of payment. The checks and balances of utilizing credit cards are put in place so that both consumers and businesses can be protected from erroneous transactions. Businesses need to be vigilant and well informed about the policies for chargebacks. Ultimately, the goal is for consumers to have an overall positive experience and implementing the above best practices will help achieve this goal.